Make Direct Energy your Baltimore gas and electric company and trusted home services provider for electricity, natural gas, plumbing, electrical, and HVAC services. Ready to take your Baltimore home to the next level? At Direct Energy, we deliver the goods with a wide range of engaging plans, innovative products, and stellar customer service. Best of all - we let you make the choices that are right for you and your family! Take charge of your home with our fantastic selection of fixed-rate plans. Choose up to 3 years of price stability for your Baltimore electric and natural gas needs, including options for a smart home! At Direct Energy, we have plan options to fit your home and your family whether you have electricity, natural gas or both. Explore our Baltimore electricity and natural gas plans to find the perfect fit for you. Your home is your most valued investment, and you should expect more than impeccable service – you deserve full, clear communication about all the work being performed in your home. When you choose home services from Direct Energy, you'll work with professionals who will take the time to explain what's going on and answer all of your questions. Tired of not knowing what's happening with your energy account? Sign up today for your own Online Account Manager from Direct Energy. We give you access to the information you need while providing offers and products that are exclusive to who you are as a customer. You've got energy options! And we're proud to be one of them. Thanks to deregulation in Baltimore, you're able to shop around for the perfect electricity plan for you and your budget instead of being limited to only your utility company. 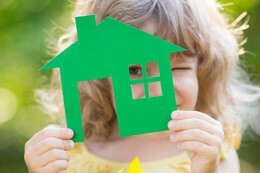 Check out Direct Energy's variety of plans to find the right one for your home! Visit us on Facebook, Twitter, Instagram, Pinterest, YouTube, and LinkedIn. Stick around a while and join in on the conversations. We're talking the latest industry news, updates for our customers, important weather information that may affect your area, and energy efficiency tips and tricks. Be on the lookout for special promotions and games on our page too - we've got fun things happening on our social pages all the time!